We have gone through the akhlaq of goingto toilet, but Insya Allah a formal one to check each other’s knowledge. We must be thankful that Prophet Muhammad sallallahu alaihi wasalam even teaches us to clean ourselves to stress on its importance and to learn what please Allah most. 1. Before entering the toilet remember to recite the du’a. Remember this so you can easily recite even when you are in rush to go to the toilet. The private areas of the children of Adam are veiled from the Jinn if one of them (children of Adam) enters Al Kaneef (a place which people relieve themselves) and says, Bismillah. Ibn Majah. Al Albanee ruled it is authentic. “Allahumma inni a’udhu bika minal khubuthi wal khaba’ith i.e. We make this dua’ to ask Allah to protect us from Shaytan. Shaytan loves dirty place and as you know toilet is the place where people throw dirty things. Alhamdulillah Allah send us the Prophet sallalahu alaihi wasalam who teaches us how to protect ourselves from our biggest enemy with the permission of Allah. 2. Before you want to step in the toilet. 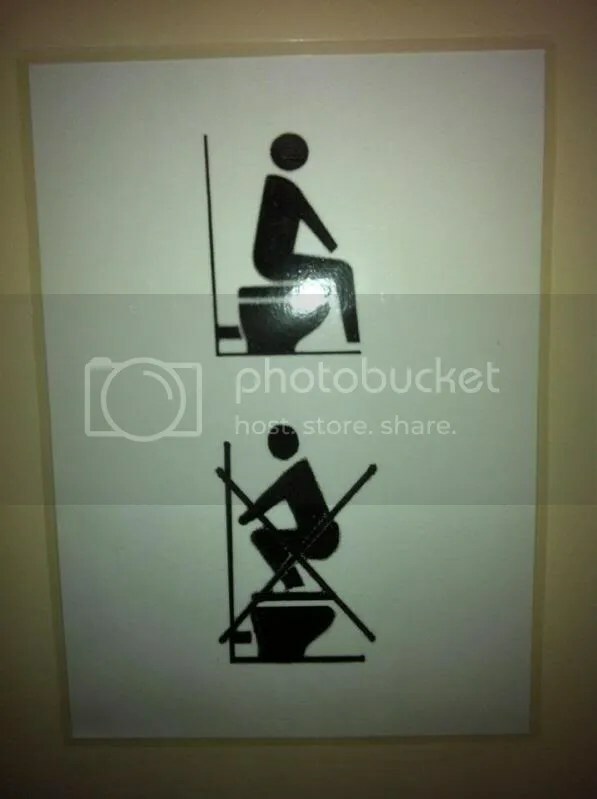 Stop and check which foot you are entering the toilet with. It should be the left foot first. Hazrat Aisha (RadiAllahu anha) says, “Sayyidina Rasulullah (Sallallahu alayhi wa sallam) liked to begin with the right while combing his hair; while performing ablution (wudhu) and when putting on his shoes. (Also in every other deed, he first began with the right then the left). the Masjid, one enters with the right foot and leaves with the left foot first, as this is the place of dignity and greatness. Contrary to this, in those things that do not have elegance in them, for instance when entering the toilet. (Tirmidhi) from The Hadith Software. Alhamdulillah most of us have toilets with DOORS. So when you want to use the toilet, close the door. Have shame. If you do not know how to unlock the door (because you are still small), do not lock them less you might not know or may not be strong enough to unlock it. He went to far away place so that no one can see him. Nowadays most of the household in my part of the world use the sitting type of bowl rather than the squatting one. Regardless do take care that you sit properly. Care that the “target” will go to the bowl. If it is a sitting type, then sit, if it is a squatting type then squat. Now. Can you stand (for boys mostly) is it okay to stand when you pass urine? The basic principle in this issue is that a person should be seated. Narrated by An Nassaee and Albani rated as saheeh. Prophet sallallahu alaihi wasalam usually would seat when he passed urine. Some scholars hold that the Prophet sallallahu alaihi wasalam stood to indicate that it is permissible and he was in a place where it was not possible for him to sit down to urinate. For you if you are in the comfort of home or where the place is clean, sitting down is preferred. Remember as good manners to always flush. If it requires more than one flushing, do it. be sure it’s clean before you leave the toilet. Even the surrounding area. Otherwise, revert to the paragraph above. Then clean yourself. Use your left hand to clean yourself after. And also remember our lesson, Istinja’? Since most of us have the luxury of water from tap, Alhamdulillah. Then do Istinja’. You can wipe yourself dry using tissue. Before you leave the toilet, wash your hands. Then leave the toilet right foot first and read the dua’ of leaving the toilet. 10. recite the du’a of going out. Allah praised Prophet Idris and described him as Prophet, truthful and among the righteous. After Prophet Adam alaihi salam and Sheeth (Seth), he was the first man to be sent as a prophet, peace be upon all of them. Ibn Ishaq said, he was the first man to write with a pen. It is narrated on the authority of Anas b. Malik that the Messenger of Allah (may peace be upon him) said: I was brought al-Buraq Who is an animal white and long, larger than a donkey but smaller than a mule, who would place his hoof a distance equal to the range of version. I mounted it and came to the Temple (Bait Maqdis in Jerusalem), then tethered it to the ring used by the prophets. I entered the mosque and prayed two rak’ahs in it, and then came out and Gabriel brought me a vessel of wine and a vessel of milk. I chose the milk, and Gabriel said: You have chosen the natural thing. Then he took me to heaven. Gabriel then asked the (gate of heaven) to be opened and he was asked who he was. He replied: Gabriel. He was again asked: Who is with you? He (Gabriel) said: Muhammad. It was said: Has he been sent for? Gabriel replied: He has indeed been sent for. And (the door of the heaven) was opened for us and lo! we saw Adam. He welcomed me and prayed for my good. Then we ascended to the second heaven. Gabriel (peace be upon him) (asked the door of heaven to be opened), and he was asked who he was. He answered: Gabriel; and was again asked: Who is with you? He replied: Muhammad. It was said: Has he been sent for? He replied: He has indeed been sent for. The gate was opened. When I entered ‘Isa b. Maryam and Yahya b. Zakariya (peace be upon both of them), cousins from the maternal side. welcomed me and prayed for my good Then I was taken to the third heaven and Gabriel asked for the opening (of the door). He was asked: Who are you? He replied: Gabriel. He was (again) asked: Who is with you? He replied Muhammad (may peace be upon him). It was said: Has he been sent for? He replied He has indeed been sent for. (The gate) was opened for us and I saw Yusuf (peace of Allah be upon him) who had been given half of (world) beauty. He welcomed me prayed for my well-being. Then he ascended with us to the fourth heaven. Gabriel (peace be upon him) asked for the (gate) to be opened, and it was said: Who is he? He replied: Gabriel. It was (again) said: Who is with you? He said: Muhammad. It was said: Has he been sent for? He replied: He has indeed been sent for. The (gate) was opened for us, and lo! Idris was there. He welcomed me and prayed for my well-being (About him) Allah, the Exalted and the Glorious, has said:” We elevated him (Idris) to the exalted position” (Qur’an xix. 57). Then he ascended with us to the fifth heaven and Gabriel asked for the (gate) to be opened. It was said: Who is he? He replied Gabriel. It was (again) said: Who is with thee? He replied: Muhammad. It was said Has he been sent for? He replied: He has indeed been sent for. (The gate) was opened for us and then I was with Harun (Aaron-peace of Allah be upon him). He welcomed me prayed for my well-being. Then I was taken to the sixth heaven. Gabriel (peace be upon him) asked for the door to be opened. It was said: Who is he? He replied: Gabriel. It was said: Who is with thee? He replied: Muhammad. It was said: Has he been sent for? He replied: He has indeed been sent for. (The gate) was opened for us and there I was with Musa (Moses peace be upon him) He welcomed me and prayed for my well-being. Then I was taken up to the seventh heaven. Gabriel asked the (gate) to be opened. It was said: Who is he? He said: Gabriel It was said. Who is with thee? He replied: Muhammad (may peace be upon him.) It was said: Has he been sent for? He replied: He has indeed been sent for. (The gate) was opened for us and there I found Ibrahim (Abraham peace be upon him) reclining against the Bait-ul-Ma’mur and there enter into it seventy thousand angels every day, never to visit (this place) again. Then I was taken to Sidrat-ul-Muntaha whose leaves were like elephant ears and its fruit like big earthenware vessels. And when it was covered by the Command of Allah, it underwent such a change that none amongst the creation has the power to praise its beauty. Ibn Jareer reported on the authority of Hilal ibn Yasaf who said, “Ibn Abbas asked Ka’ab in my presence, “What is the meaning of the verse,’And We raised him high in the heaven?’ And we raised him high in the heaven? “Ka’an replied, “Allah revealed to Idris, ‘I would raise for you every day the same amount of the deeds of all Adam’s children.’ Perhaps what he meant was referring to the deeds of his time only. So Idris wanted to increase his deeds. It is said that Idris had a friend from among the angels. When this angel come to visit him, Idris said to the angel, “Allah has revealed to me such and such, so could you please speak to the angel of death so that I could increase my deeds.” The angel then carried him on his wings and went up into the heaven. When they passed by the fourth heaven, they me the angel of death, who was descending. The angel spoke to him regarding what Idris had spoken to him before. Subhanallah, you cannot run away when your time has come. After completing the recitation Prophet sallallahu alaihi wasalam would pause for a moment. Then he (sallallahu alaihi wasalam) would raise his hands and make Takbir. Then he (sallallahu alaihi wasalam) would make ruku’. How did Prophet Muhammad sallallahu alaihi wasalam make ruku’? 4. Arms away from the side of the body. ‘A’isha reported: The Messenger of Allah (may peace be upon him) used to begin prayer with takbir (saying Allih-o-Akbar) and the recitation:” Praise be to Allah, the Lord of the Universe.” When he bowed he neither kept his head up nor bent it down, but kept it between these extremes; when he raised his bead after bow- ing he did not prostrate himself till he had stood erect; when he raised his head after prostration he did not prostrate himself again till he satup. At the end of every two rak’ahs he recited the tahiyya; and he used to place his left foot flat (on the ground) and raise up the right; he prohibited the devil’s way of sitting on the heels, and he forbade people to spread out their arms like a wild beast. And he used to finish the prayer with the taslim. 6. When bowing prophet sallahu alaihi wasalam kept his head straight with his back neither bent or up. Prophet sallallahu alaihi wasalam used to be at ease in his ruku’ and ordered the one who prayed badly to be so. 8. be firm in your ruku’ and also be at ease. 9. Bow down for ruku’ until your back has reached the level and rise up without rushing. Prophet sallalalhu alaihi waslaam would say different types of remembrance of Allah and supplication. 1. The one most of us know is “Subhana rabbiyal ‘Azim (How perfect is mu Lord, the Supreme- three times. But sometimes Prophet sallallahu alaihi wasalam would repeat it more than that. 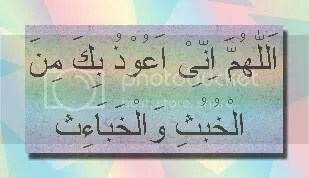 Once in a night prayer, he repeated it so much that his Ruku’ became nearly as long as his standing before it, in which he has recited three of the long surahs: al Baqarah, An Nisa’ and Al Imran. The prayer was full of supplication and seeking forgiveness. 2. Subhanarabbiyal ‘azimi wa bi hamdih. and a few others. Perhaps we can learn them all Insya Allah. What about reciting quran in Ruku’? Ibn ‘Abbas reported: The Messenger of Allah (may peace be upon him) drew aside the curtain (of his apartment) and (he saw) people in rows (saying prayer) behind Aba Bakr. And he said: Nothing remains of the glad tidings of apostlehood, except good visions which a Muslim sees or someone is made to see for him. And see that I have been forbidden to recite the Qur’an in the state of bowing and prostration. So far as Ruk’u is concerned, extol in it the Great and Glorious Lord, and while prostrating yourselves be earnest in supplication, for it is fitting that your supplications should be answered. 11. Do not recite the quran in ruku’. This is another revisit in wudhu’. you must have the intention IN YOUR HEART that you want to perform ablution. Wudhu’ without niyah is invalid. An invalid wudhu’, will render the solah not acepted as well. Allah knows best. Here is a link by Islam QA on when to make the intention of wudhu’. There are different opinion in whether saying Bismillah is obligatory in wudhu’ or not. Some say it is mustahab and some say it is fardh. But we will say the Bismillah anyway. Insya Allah khayr. Here is Islam QA link on it. Another link of fatwa collected by Islam QA concerning saying Bismillah in the toilet when we take wudhu’. 3. Closing sequence or tartib. Meaning when we perform ablution, you must follow the order. We cannot just do any part of wudhu’ in random. It has to follow the order. And also if we missed a part of wudhu’, we must repeat the wudhu’ all over again. Hadith recorded by Abu Dawood from Khalid Ibn Ma’daan (may Allah’s Mercy be upon him) from some of the Prophet’s (Sallallahu Alaihi wa Sallam) wives that the Prophet (Sallallahu Alaihi wa Sallam) saw a man praying and a small spot of his foot not washed, so he ordered him (the man) to reperform the Wudu.